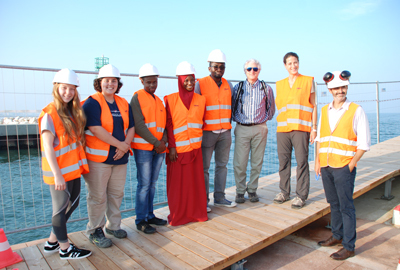 This Programme is intended to offer internships/research topics to early career researchers doing a 12-month project as part of an MSc in Water and Coastal Management. 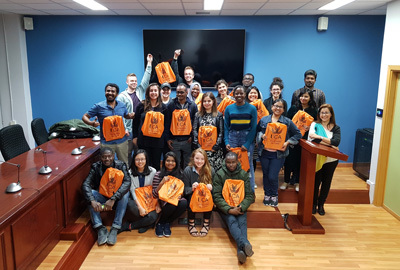 The cohort of students is very international, covering five continents. 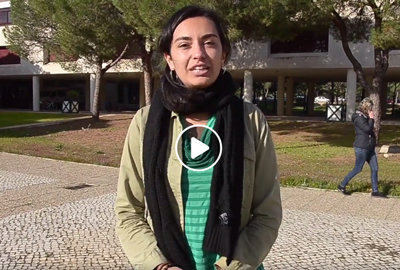 The objectives are two: to be able to carry out research, within or across projects and to be able to carry out research on ‘real’ topics in international projects — Universidade do Algarve UAlg. 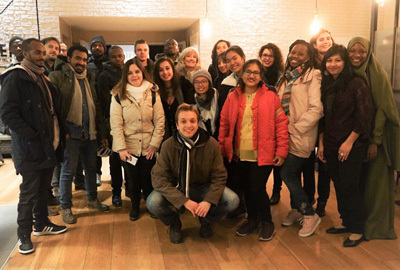 After completing the 2-weeks Hot Topics Intensive School at UALG, all 23 WACOMA Students have just joined the Partner University of Cadiz at Puerto Real Campus in Cadiz, Spain, where they will be attending the second semester. 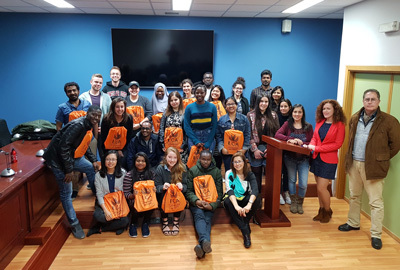 The students have been warmly received by the University of Cadiz Professors, Lecturers, Administrative Staff and Alumni. All information about Lessons timetable, Spanish Language Courses, Services and facilities, Offices and Practicalities at UCA can be found here. 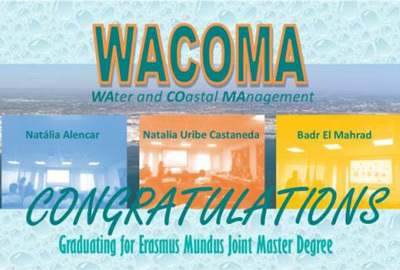 We would like to take this opportunity to congratulate the three master students that Future Earth Coasts have had the pleasure to supervise in their Erasmus Mundus Joint Master Degree in WAter and COastal MAnagement – 2018. 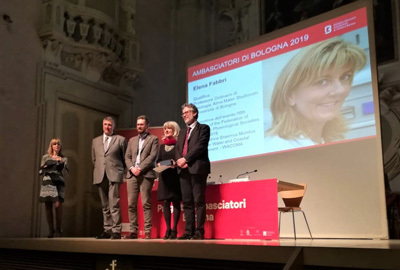 Prof. Elena Fabbri, the Erasmus Mundus Joint Master Degree WACOMA Coordinator for the University of Bologna, has just been nominated as Bologna Ambassador for the year 2019. 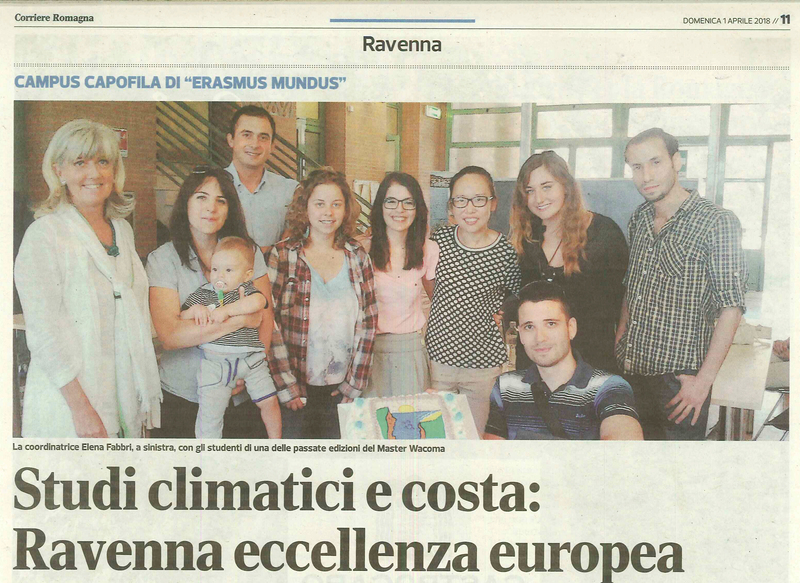 We are proud to announce that Professor Elena Fabbri, EMJMD WACOMA Coordinator, has just been re-elected to the position of President of Ravenna Campus for the years 2019/2021. The President is elected amongst the Academics teaching at Ravenna Campus, she chairs the Campus Board and is a member of the University of Bologna Campus Coordination. Elena Fabbri is Full Professor in Physiology at the Department of Biological, Geological, and Environmental Sciences. 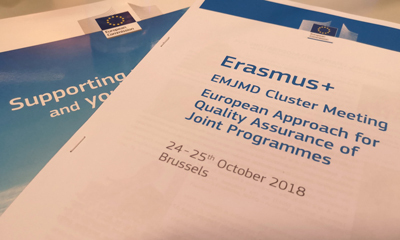 WACOMA EMJMD Coordinator, Professor Elena Fabbri and Programme Coordinator, Daniela Farinelli are now participating to the EMJMD Cluster meeting 2018: European Approach for Quality Assurance of Joint Programmes. 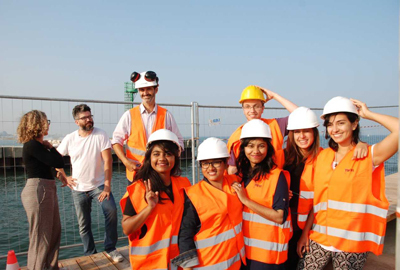 WACOMA students during the field trip along the northern coast of Emilia-Romagna, together with Prof. Beatrice Giambastiani (Applied Geologist, Univ. of Bologna), Dr. Roberto Montanari and Dr. Carlo Albertazzi (Regione Emilia-Romagna, Italy, Area of Coastal defence interventions and Integrated Coastal Zone Management). Eduardo Barboza Guimarez, Professor from the Federal University do Rio Grande do Sul (UFRGS; Porto Alegre, Brasil) is an External Scholar teaching in WACOMA during the first semester at the University of Bologna. 23 excellent students selected amongst over 250 candidates from all over the world are expected to arrive by the end of August at the University of Bologna. 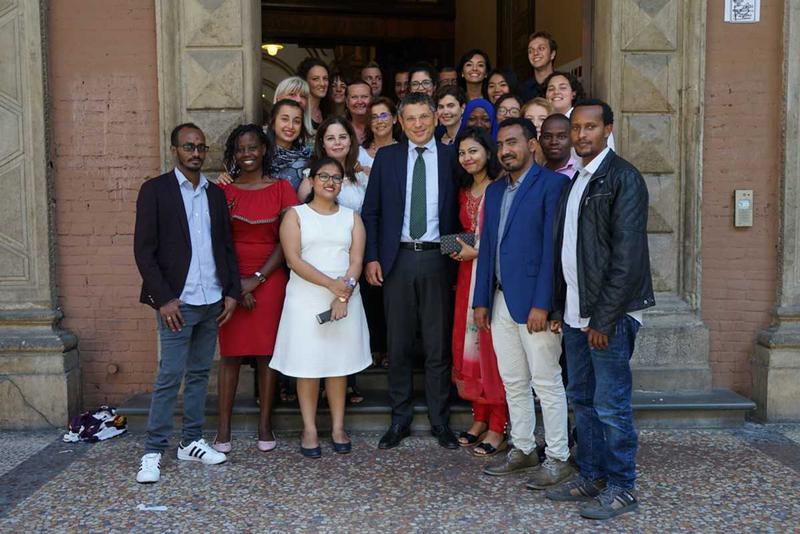 The Rector of the University of Bologna with the WACOMA students. 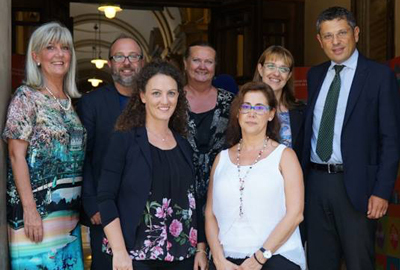 The Women Team managing WACOMA (from the left: Prof. Elena Fabbri, Coordinator; Dr. Daniela Farinelli, Programme Manager; Dr Filomena Volpe, Assistant for students and teachers; Prof. Alice Newton, Institutional Coordinator for University of Algarve; Prof. Irene Laiz, Institutional Coordinator for University of Cadiz. 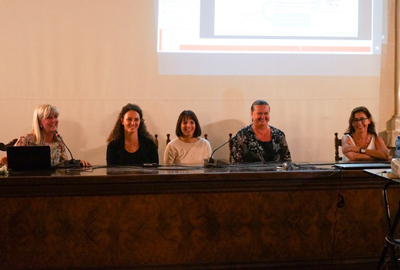 The Unibo Rector, with Elena Fabbri, Daniela Farinelli, Alice Newton, Irene Laiz, Francesco Girotti (International Division of UNIBO) and Francesca Carati (International Agreement Office of Unibo). EMJMD WACOMA KICK-OFF MEETING at the University of Bologna, WACOMA Coordinating Institution. The Journey has started. 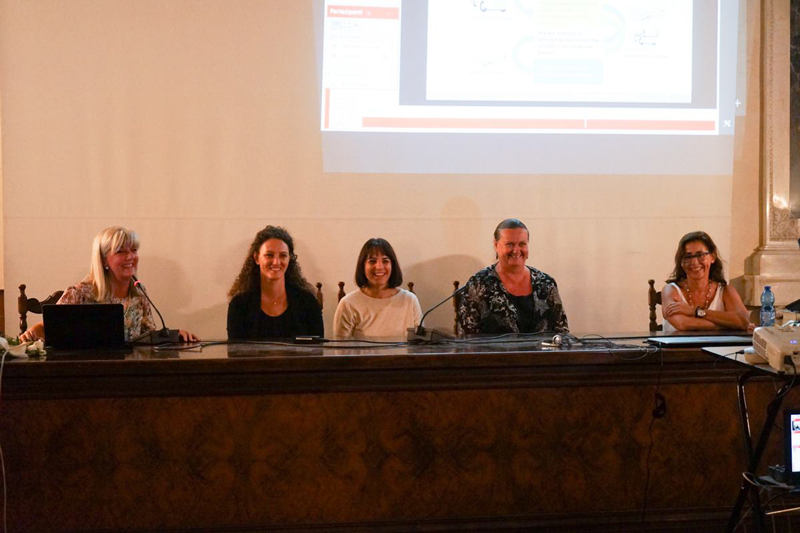 The Wacoma Consortium Partner Universities Institutional Coordinators, Professor Elena Fabbri from the University of Bologna, Professor Irene Laiz Alonso from the University of Cadiz and Professor Alice Newton from the University of the Algarve joined the Coordinating Meeting held in Ravenna on March the 6th-7th and the Kick Off Meeting in Bologna on March the 8th along with National and International Associated Partners (Emilia Romagna Region, ARPA-ER, Lighthouse, Fondazione Flaminia) and Associated Partner Universities who joined the Web-conference from Brasil (UFRGS and UNIVALI) and Ireland (Future Earth Coast-UCC). 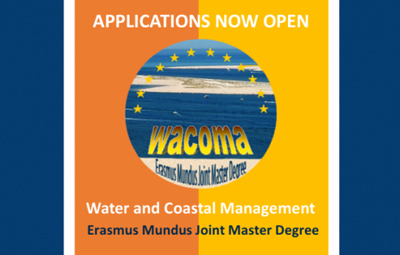 WACOMA: European Excellent Studies on Climate Change and the Coast. 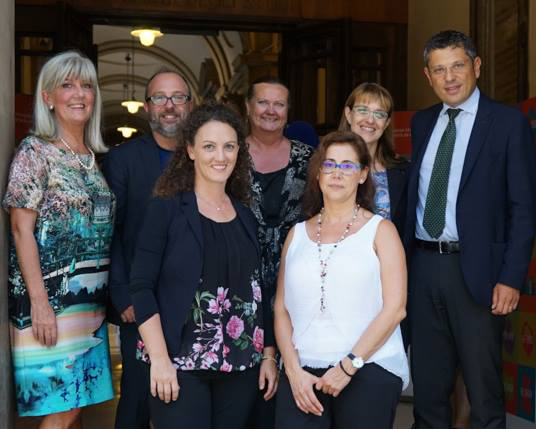 University of Bologna - Ravenna Campus Coordinating Institution of the EMJMD Wacoma, the programme has been selected for funding amongst 116 applications, it is cofounded by the European Commission for around 3 Million Euros. Selected Students from all over the world will join the master degree for the academic year 2018/2019. 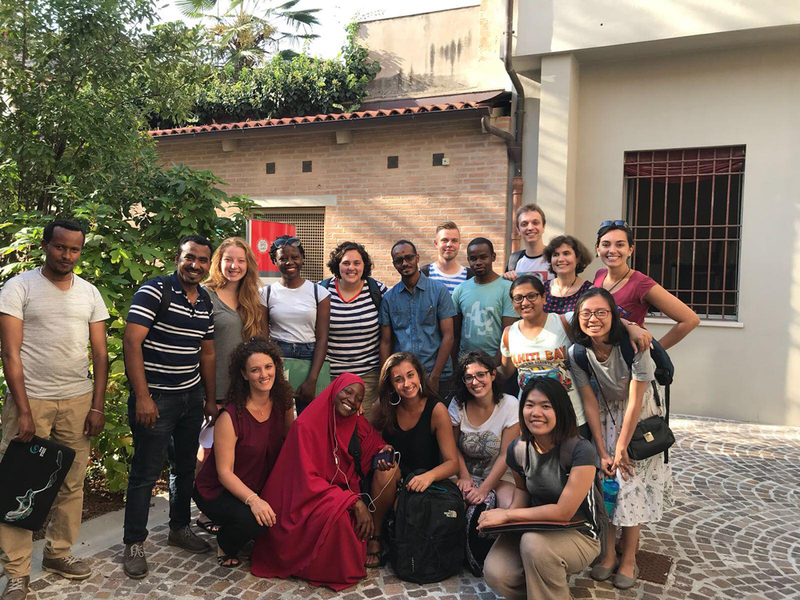 23 excellent students selected amongst over 250 candidates from all over the world are expected to arrive by the end of August at the University of Bologna. 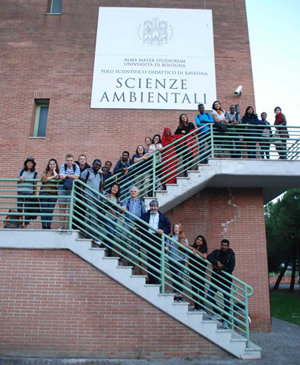 The Kick-OFF Meeting will take place in Bologna on September the 6th, the students will be welcomed by the University of Bologna Rector, Professor Francesco Ubertini, by the Coordinator of the EMJMD Wacoma, Professor Elena Fabbri and by the Coordinators of the University of Cadiz and the University of the Algarve as well as the Academic staff involved in the project. Classes will start on September the 5th. Eduardo Barboza Guimarez, Professor from the Federal University do Rio Grande do Sul (UFRGS; Porto Alegre, Brasil) is an External Scholar teaching in WACOMA during the first semester at the University of Bologna. 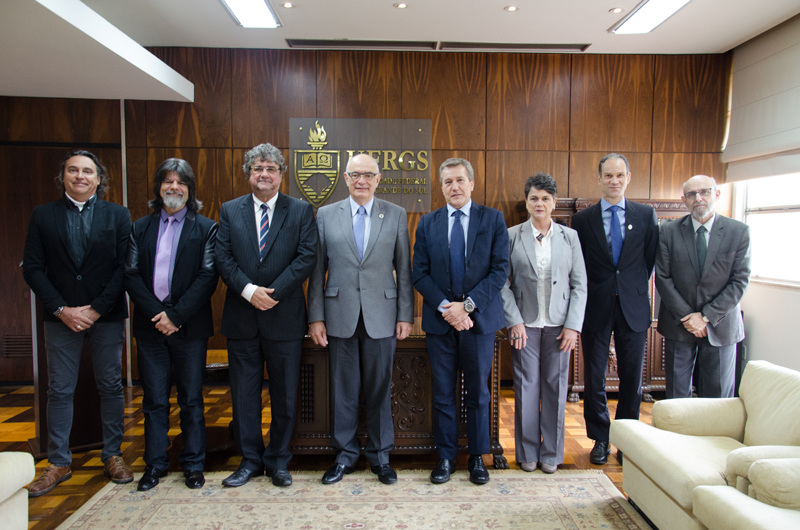 UFRGS is an Associated Partner of the EMJMD WACOMA, and presented the Erasmus Mundus Programme and the teaching module by Prof. Barboza (Advanced technologies for coastal assessment and management) to the Consul General of Italy in Brasil who visited the University on Oct 3rd, 2018. 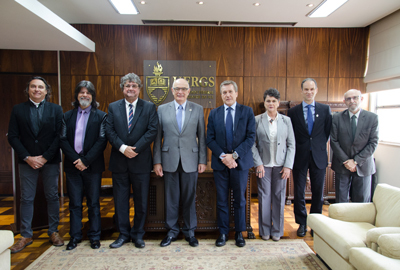 In the picture, Prof Barboza first on the left; the Rector of UFRGS Rui Vicente Opperman third from the left; the Consul General of Italy Roberto Bortot, forth from the right. 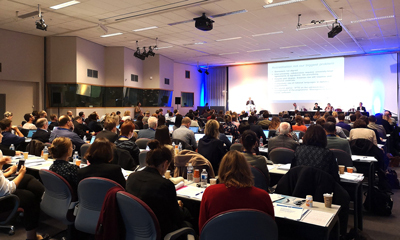 Over 150 EMJMD Coordinators, EACEA, EU Heads of Unit and Officers as well as EMA alumni gathered together for a 2 days meeting and workshops in Brussels on the topic of European Approach for Quality Assurance of Joint Programmes with special focus on dismantling obstacles, integrate jointness, raise awareness and promote the added value of the European Approach in the framework of international cooperation in the European Higher Education Area. 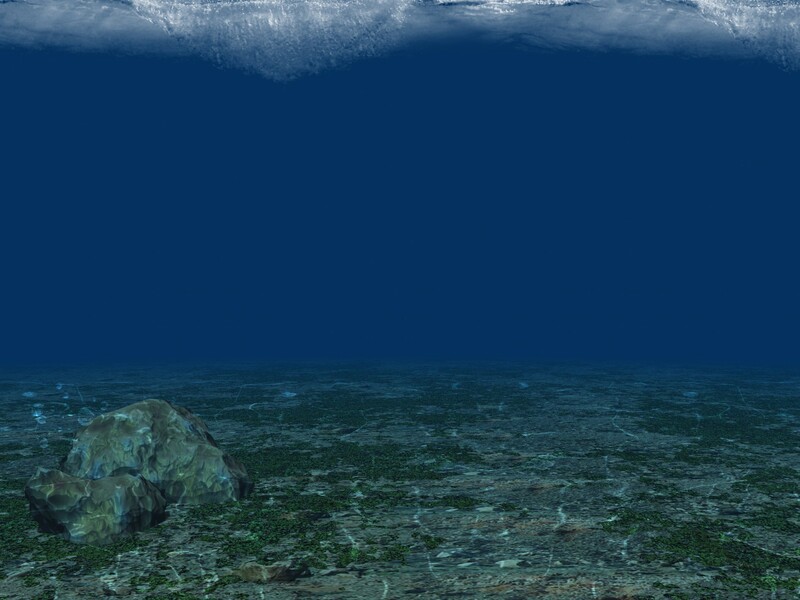 Physiology applied to the environment: pollutant impacts on human health and ecosystem; Advanced technologies and decision support systems in water and coastal management; Hydrocomplexity of the coastal zone; Environmental economics and risk management in coastal policy; Environmental economics and risk management in coastal policy. They are now off to UALG where they will be attending a 2-weeks Hot topics intensive School for a total of 6 ECTS. 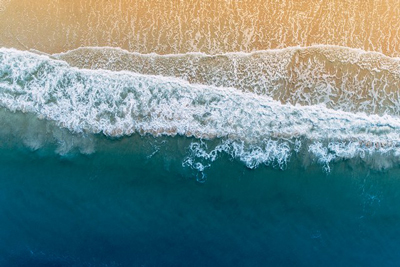 The main focus is to keep the master programme updated to the state of the art, latest methodologies, frameworks and development in the field of Water and Coastal Management. 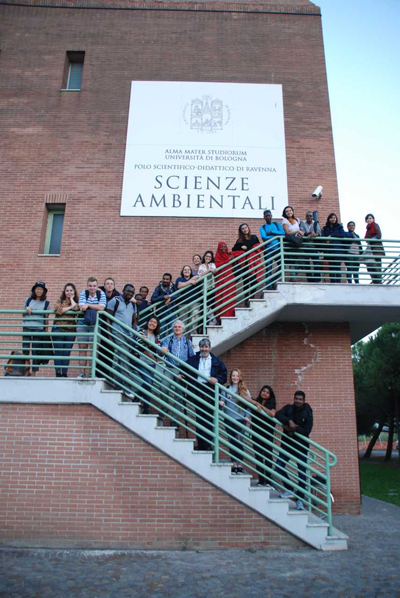 Students will attend lectures and seminars on the following: System Approach Framework (SAF); Driver-Pressure-State-Impact-Response (DPSIR) Framework; Assessment frameworks: Ocean Health Index, Ecological Status (WFD) Environmental status (MSFD); Governance and Sustainability; World Ocean Assessment (WOA), Marine cetaceans, Remote sensing and coastal management; Modelling the morphological response of coastal systems to projected sea-level rise during the 21st century; Harmful phytoplankton in an upwelling region. They will have the chance to visit the Centre for Marine and Environmental Research, the Centre of Marine Sciences, Scientific diving center. They will go on field trips and boat trips to different water ecosystems in the algarve: a beach, a lagoon, barrier islands and a river. Students will have debriefing and assignments for each activity and lecturers they will attend. Lecturers, experts and WACOMA and MACOMA Alumni will be involved in the seminars and practical activities. Full programme and details HERE. The prize is awarded by the Bologna Convention Bureau to personalities of Academia, Medicine, Industry and Sport who have been recognised for their outstanding outreach and engagement in contributing to the promotion of Bologna in the world through the organization of significant and far-reaching scientific meetings and/or programmes and events. 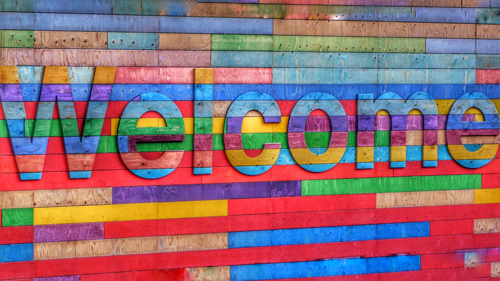 It has been acknowledged that WACOMA has proven its worldwide attractivenes to a very large and qualified audience, with hundreds of contacts and applications, and network made of over 20 Partners in the world and several stakeholders. During its first year of activity, after a strict selection process based on academic background, WACOMA brought to the University of Bologna 24 excellent students from 16 different Countries, from New Zealand to USA, from Vietnam to Brasil.